Smartphones are one of the most important devices used by people these days. It helps us to perform various task that has made our life easier. It provides us features such as connectivity, efficiency, entertainment and many more. Xiaomi is among the leading brands that have come up with a perfect blend of features and use of innovative technology. With the unique designed models, Xiaomi has always maintained its brand value. Xiaomi uses specific features and designs that are loved by users across the globe. As every electrical equipment has certain flaws, Xiaomi is no different. Users are often facing issues with these smartphones that are hampering their experience. Issues might range from complex to simple. However, it is not always possible to solve the problem on your own. In this case, you will require an experts guidance that will help you to nullify your worries at an instance. UAE Technician contains a group of experts who are efficient and reliable. We try to provide the best-in-class solutions that will help you to experience a hassle-free service. Problem might arise at any time of the day. Keeping this in mind, we provide services 24*7 for your assistance. With just a single call you can get your queries resolved. Connect with our Technician team as soon as possible to get rid of all your Xiaomi problems. Our experts are always enthusiastic to cater to your needs. 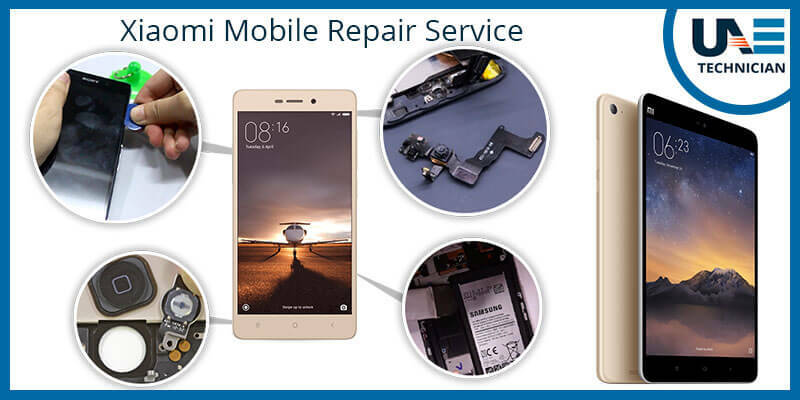 Whenever you face any of the above problems, connect with our experts for Xiaomi mobile repair requirement. Our team works on various cases for which has make them capable of handling any damage situation. We try to provide solutions which are easy and cost-effective. We focus on providing customers satisfaction. If you are looking for satisfactory repair services for your Xiaomi mobile, feel free to contact UAE Technicians. Our team of professionals is highly experienced who work to provide the most effective services to your products. You can avail 24*7 online repair services if you need to resolve any issue with your device. Users can even attend the live sessions and share their worries in details. Based on your query we provide adequate solutions at an affordable price. Dial our helpline number: 042053349 and avail the most reliable Xiaomi mobile repair in Dubai. We also provide Hisense mobile repair service in Dubai.